Consider what happened in the House of Commons on Wednesday. 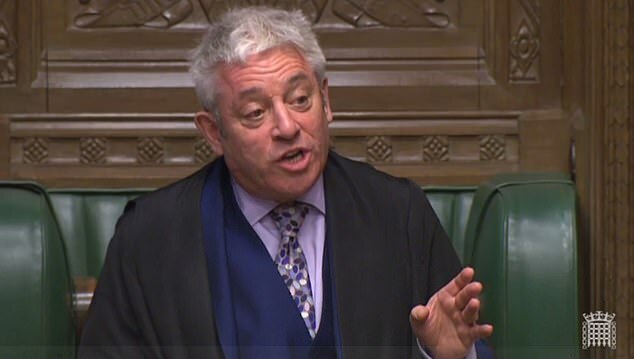 Ignoring the advice of parliamentary officials, the Speaker, John Bercow, intervened to declare admissible a Europhile amendment that was plainly inadmissible under the rules. Challenged about his partisanship, he didn’t really deny it. Instead, with a hint of a smirk, he declared that obeying precedent would mean that nothing ever changed. He was, in other words, rubbing MPs’ noses in the fact that there was nothing they could do about his bias. Until now, the neutrality of the Speaker has been a given in British politics. When an MP was picked to wear the horsehair wig, he was expected to leave behind not only his party but his name, becoming Mr Speaker, the holder of an office greater than any individual. Mr Bercow, who chose not to wear the wig, has now discarded the tradition of impartiality, too. That tradition rested on convention, decency and restraint, rather than on any written laws, and will not easily be recovered. From now on, any Speaker will be able to nudge causes he happens to support. MPs will therefore seek to appoint members of their own team to the role. The idea of a disinterested Speaker standing above faction – a precious part of our political inheritance, admired around the world – has thus been lost. All for the sake of the EU. Again and again, I have watched domestic politicians sacrifice their positions, split their parties and betray their voters in order to advance deeper integration. In Ireland, for example, Bertie Ahern, then the Taoiseach, who was at the time mired in corruption allegations, fell on his sword rather than allowing those allegations to prejudice the pro‑Brussels cause in the 2008 referendum on the Lisbon Treaty. When his side lost anyway, his successor, Brian Cowen, took the catastrophic decision to rerun the vote. In doing so, he predictably ended not only his own career but also his party’s hegemony. Fianna Fáil, which had won every Irish election since 1932, was destroyed. But the European project carried on. Perhaps the most extreme manifestation of the EU’s Hideous Strength was in 2011, when Brussels orchestrated civilian coups in Italy and Greece, removing the elected national leaders and replacing them with Eurocrats – in Italy, a former European commissioner, Mario Monti; in Greece a former vice-president of the European Central Bank, Lucas Papademos. Both men headed what were called “national governments”, but their governments existed solely to push through policies that their nations opposed. Perhaps you imagine that such things couldn’t happen in Britain. We, after all, are not a fragile democracy whose politicians wear sunglasses. Think again. Margaret Thatcher was ousted in 1990 for much the same reason as Silvio Berlusconi in 2011, namely that she opposed the euro. The Establishment is still at it. Following the 2016 referendum, those who had supported the losing side were showered with honours and knighthoods. The winners, meanwhile, have been subjected to low-level state persecution. I don’t use the word “persecution” lightly. Donors to Vote Leave were suddenly told in late 2017 that their contributions counted as gifts, not political donations, and were therefore subject to inheritance tax. This bizarre ruling had not applied to the Alternative Vote referendum in 2011 or the Scottish referendum in 2014, and it overwhelmingly affected one side. Because Leave had relied on individual donations, unlike Remain, which got money from Goldman Sachs, Morgan Stanley and other corporates, the retrospective decision disproportionately affected Eurosceptic donors. It is impossible to avoid the suspicion that part of the purpose was to deter them, or anyone else, from funding a second campaign. Nor did it stop there. As well as investigating their referendum donations, officials began demanding full audits of the personal and business tax records of Leave donors, going back several years. As the phrase goes, the process is the punishment. Although your affairs may be wholly in order, you still have to take weeks off work and pay a lot of money to accountants to deal with frivolous enquiries. Again, the purpose seems to be to stop people funding any new Leave movement. This isn’t a conspiracy. Quangocrats were not summoned to a room with its blinds drawn and told to close down the pro-sovereignty movement. They didn’t need to be: their own prejudices were enough. Americans sometimes talk of the “deep state”, meaning the permanent officials who wield real power, regardless of who has been elected. But what we are seeing here is harassment by the “shallow state”. Individual officials in the Information Commissioner’s Office, the Electoral Commission, the tax office and elsewhere have simply decided to make life difficult for Eurosceptics. There is something horribly un‑British about it. We think of the harassment of dissidents as something that happens in Russia or Turkey. And, in general, we are right. Yet, when it comes to the European cause, a different spirit seems to animate the British state. We may be about to see its most terrifying manifestation yet. Our MPs, whichever side they were on in the referendum, must be aware of the consequences of overturning the vote. People would be convinced that politicians really are a class apart, that votes count for nothing and that democracy is a sham. The world’s oldest and most successful parliamentary system would be delegitimised. 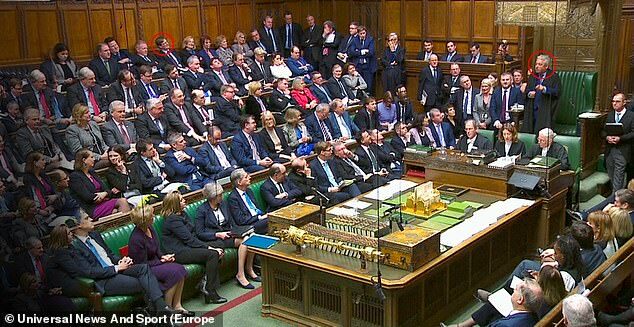 The MPs who had trooped through the lobby to cancel Article 50 would be deposed at the subsequent election. And yet, incredibly, they might still do it. Marvel at the EU’s Hideous Strength. In earlier centuries, parliaments were often given nicknames. Some were straightforward and depended on their duration, such as ‘Short’ or ‘Long’. Others were more imaginative – ‘Merciless’, ‘Addled’ and ‘Rump’. The current antics in Westminster mean that it’s high time to revive the custom. And there is only one possible name for this one. 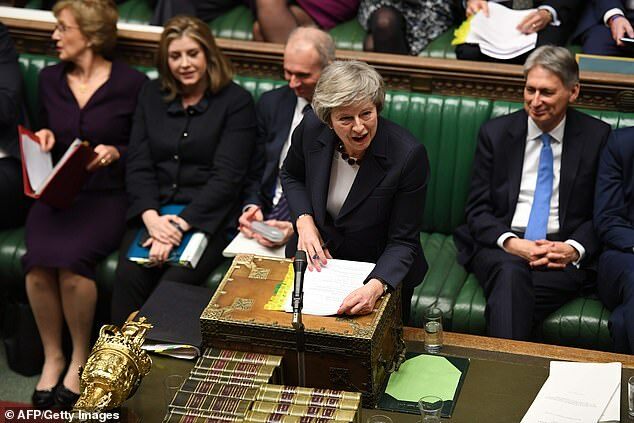 It has to be the Parliament of Pygmies, presided over as it is by the pygmy-in-chief, Speaker John Bercow, who, early in his period of office, was denounced by one infuriated Minister as a ‘sanctimonious, stupid dwarf’. Ordinarily all this would be no more than matter for wry amusement. But the times are anything but ordinary. So strange are they, in fact, that the pygmies think they are giants and ape the gestures of the parliamentary greats of the past. But they do so without understanding the context or – still more important – the consequences. Which are terrifying. Take, for instance, last week’s self-aggrandising statement by Bercow, who had defied precedent, ignored the advice of his parliamentary clerks and accepted an amendment that will allow the House of Commons to take control of Brexit. His decision has quite rightly angered millions who believe that the purpose of Parliament is to serve the will of the people. Here Bercow is echoing, deliberately no doubt, the words of his famous predecessor William Lenthall, who was Speaker of the Long Parliament in 1642 when Charles I entered the House with his guards to arrest five MPs who he thought to be in traitorous communication with the Scots. ‘Where are they?’ demanded the King. All very noble, and the sort of brave defiance of absolute authority that has, over the centuries, laid the foundations for the democracy we now cherish. But don’t let Bercow’s carefully turned words fool you into believing that he is on the side of the people. He is not. Lenthall was defying a would-be absolute King. Bercow, in contrast, is challenging a Prime Minister who holds office according to the existing norms of the constitution – and behind her lie the 17.4 million electors who voted ‘Out’ in the referendum of 2016. There are other, less flattering, comparisons. Bercow and Lenthall share more than a fondness for fine words. Both Speakers adored the trappings and wealth of office. Lenthall clung on to them like grim death, just as Bercow does now, as indeed did the members of the Long Parliament. Having become a government-by-default in the Civil War, they tried to make themselves into a permanent oligarchy, unanswerable to the electorate and holding their seats for life. And oligarchy – the control of government by the few – is the ill-concealed and utterly disturbing agenda today of the extreme Remainers, not just those in Parliament but outside it also. It is most blatant in the case of media cheerleaders such as Times columnist Matthew Parris, who declares that his kind of Conservative listens to popular opinion and then, if it suits him, ignores it. Parris cites, of course, Parliament’s vote to abolish the death penalty in the teeth of popular support for it. But that was a free vote on a matter of conscience. Membership of the EU is not a matter of conscience, however much some silly folk try to make it one; it is a matter of policy and broad questions of policy have been decided since the Reform Acts of the 19th Century by the democratic vote of a mass electorate outside Parliament and the vote of MPs within it. Until now. 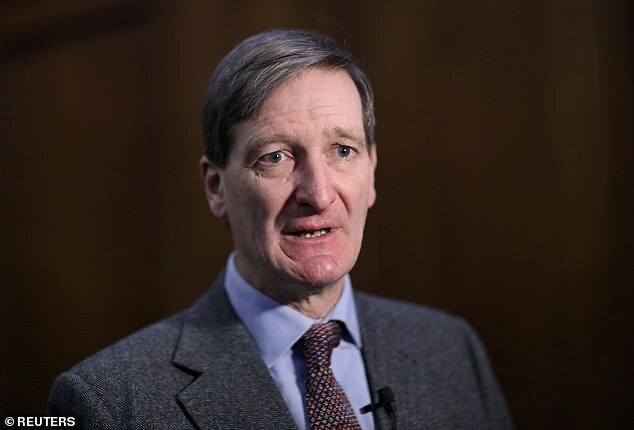 What, then, of the man who tabled last week’s objectionable motion handing control of Brexit to MPs – Bercow’s fellow-Remainer, and arch-legal dwarf Dominic Grieve QC? Grieve, the MP for Beaconsfield, likes to think that he, too, is channelling his historic hero. In this case it is MP and political theorist Edmund Burke, who declared in his Letter to the Electors of Bristol in 1774 that an MP was not a delegate who should blindly obey the instructions of his voters, but their representative, empowered to use his brain and conscience in the best interests of his country. For Grieve, whose father was an MP before him, 1774 is no doubt yesterday. For the rest of us it is rather a long time ago. Burke was writing when Bristol, though it was the largest urban constituency in the country outside London, had an electorate of only 5,000 out of a population of about 80,000. Few working men and no women had the vote. There were no proper political parties and no manifestos, and politics was a matter for gentlemen and their immensely rich aristocratic patrons. I’m sure that the fastidious Mr Grieve would be happier and much more at home in such a world. 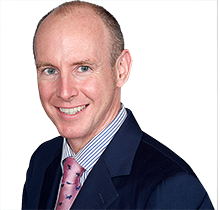 But in 2017, when he was last returned as MP for Beaconsfield, he stood as a Conservative Party candidate on the Conservative Party manifesto. This manifesto included a clear commitment to honour the result of the referendum. It even repeated Theresa May’s famous phrase that ‘we continue to believe that No Deal is better than a bad deal for the UK’. What is it that enables the honourable Mr Grieve to break this contract with his electorate? Did he come clean on his wrecking intentions in the 2017 campaign? I can find no evidence of it. Does he have superior knowledge? Not on the showing of his latest claim that leaving the EU with no deal would amount to ‘national suicide’. This is beyond silly and beyond Project Fear; it is Project Hysteria and – to be blunt – it suggests that, with the strain of events, Grieve’s brain has become as addled as the Parliament of 1614. Bercow and Grieve are not alone. Far from it. While the country voted narrowly but firmly to Leave, MPs voted overwhelmingly, 480 out of 650, to Remain. Now the Government has lost control of the House and it is clear that the diehard Remainers intend to use their parliamentary majority to give us either a Brexit in name only, or to reverse it entirely – defying the electorate in the process. But the 17th and 18th Century Parliament was a narrow and unrepresentative oligarchy. It survived – and Britain escaped revolution – only because Parliament had the wisdom to broaden the electorate in successive Reform Acts until finally Britain became a full democracy, in which all adults, women as well as men, had the vote. Parliament, in other words, has long given way to the people – and quite rightly so. But not now. Instead, marshalled by Bercow, Grieve and their ilk, the Parliament of Pygmies tells the people to forget it and let their betters take charge. It is a coup against the people. And I doubt if the people will take it lying down. Last edited by Blackleaf; Jan 13th, 2019 at 07:58 AM..
We need a debate on the integration of vegans.